The cover is extremely attention-grasping and nicely made. It perfectly depicts Amobi, his experiences, and the general idea of the story. It is very appealing, and I was first drawn to the story because of it. 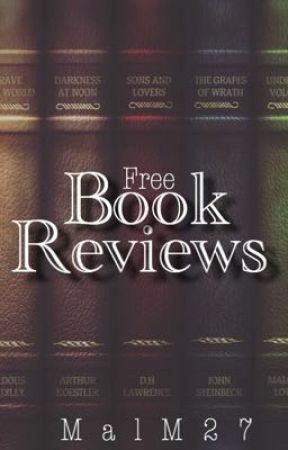 I generally do not look at the blurb, as I prefer to base a story off of its internal contents, but yours is just as humorous as the story, and it is bound to attract many readers. The title also fits the story just as well as the cover. The setting is very vibrantly described. The mental facility is extremely clear, and it allows the audience to visualize exactly what is occurring in the story. The descriptions make the story much more interesting than it would be otherwise, and it gives your reader a clear idea of the setting, characters, etc. In addition, every aspect of the story is brilliantly illustrated. You do a spectacular job of explaining exactly what everything looks like and what the purpose of it is. This instantly pulls the reader in, and your audience never needs to question the significance of any symbols or events. Chapter 1: "Sarcasm is not good on you..." This sentence sounds a bit awkward when being read over. I feel that it would flow a bit smoother if it were slightly changed to something like "Sarcasm does not work well for you," or "Sarcasm does not look good on you." Chapter 1: "I.K - his real name was Ikem, but we just called him I.K for short - had always been skinny, but now he was almost waifish." Based on what I have noticed, most authors use two hyphens when separating a sentence the way you did here. The single dashes make it more difficult for the reader to follow along. Additionally, I&apos;m not sure if waifish is a word, but I understand the gist of what you were trying to describe. Chapter 2: "Turns out I&apos;d only bruised them, but it still felt like it was on fire anytime I brushed it against something." Inconsistent use of numbers here; "them" (plural) and "it" (singular) are both used in this sentence, and both terms are referring to the same thing. Chapter 2: "It been cloudy since the day you got fried..." In the beginning of the sentence, the word should be "its." Something I noticed that is a bit unclear to the audience is your use of quotation marks around direct thoughts. For example, in Chapter 1 you wrote: "Now you might be wondering, &apos;What&apos;s with all the white?&apos; and you wouldn&apos;t be wrong for thinking that it&apos;s weird." Thoughts are generally written in italics, and your use of quotation marks makes it appear as though a character is speaking. Here it is obvious enough that no character is speaking, but it can become a bit confusing if it continues. I also observed some confusing sections when multiple people were gathered. For example, when Amobi is released from the medical center, it is a bit confusing to read the conversation between him, Somto and I.K. I found this section to be complicated to understand because you often used the pronoun "he," which could refer to either I.K or Somto at this point. Be sure to incorporate their names or other descriptions to ensure that the audience will be able to understand who is speaking at all times. The story as a whole is very entertaining and the writing style maintains a comedic tone while also clearly describing the sequence of events. The funny sentences that are spread throughout the story successfully keeps the reader engaged. The sentence "It all started when I was attacked by a crazed rhinoceros" already had me chuckling and excited for what was to come. I also like how the story contains some serious quotes and points, such as in Chapter 1 where you wrote "Our parents may have sent us here to forget about us, but that doesn&apos;t mean we have to forget ourselves too." You mentioned that the story would be liked by any Percy Jackson fans, and I couldn&apos;t agree more. The writing style is very similar to the Percy Jackson series, and the story appeals to a variety of audiences. The names of the chapters are also very original, and they each encapsulate the overall events of the section. They fit into the story perfectly and they offer an entertaining addition. 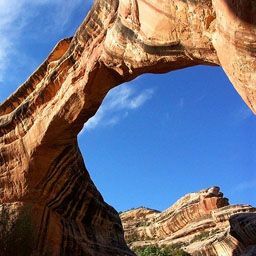 Additionally, the location in which the story takes place is very unique. 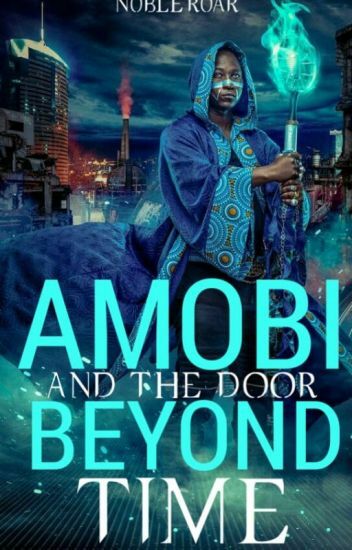 I have read very few stories that are set in Africa, and it is entertaining to read about Amobi&apos;s experiences in a place that is so different from what I am used to. The story flows very easily and the chapters link up very nicely. There don&apos;t seem to be any holes between events, and the story comes together smoothly. The story is also quite suspenseful, and the readers constantly want to know more about Amobi, what ability he has, and what he plans to do with them. The little bursts of power within the story make the readers more and more curious as they read. I especially enjoy the narration that the story is written with, and the audience can easily relate to how the characters feel. Amobi is quite likable, and his way of thinking is very humorous. The audience could already connect with him from the first paragraph. Additionally, Somto and I.K are seemingly quite friendly as well, and the audience can relate to each of the characters in different ways. Overall, the story was incredibly entertaining and very nicely written. This is definitely a story that I am looking forward to continuing!